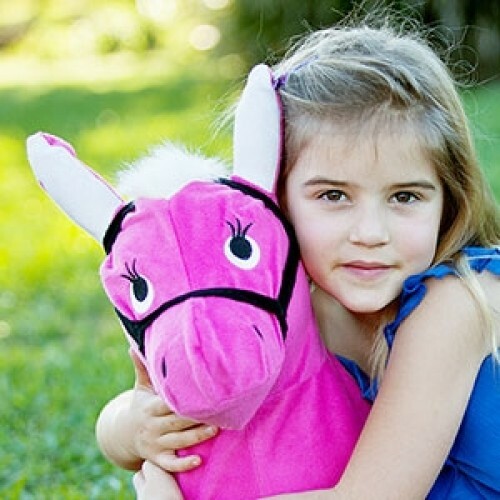 Ruby the Pony is the prettiest toy at the Zooba Zoo! 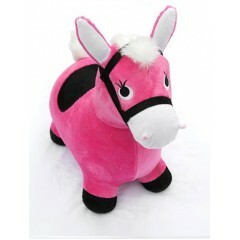 She's a big hit with toddler and pre-school girls and boys who love all things horses! She's ideal for imaginative play as she's wearing her bridle, ready to ride right into any scene kids can dream up. 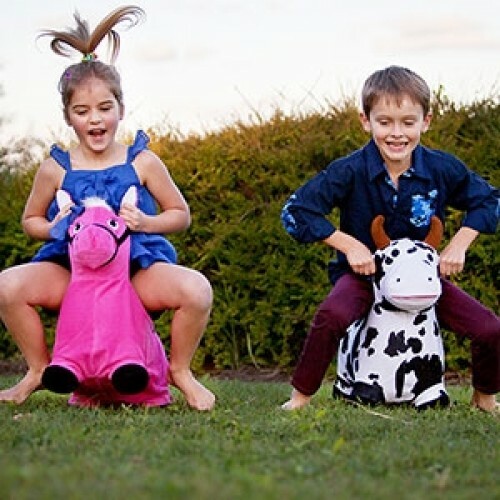 Your child will love how bouncy she is, just like a real horse! 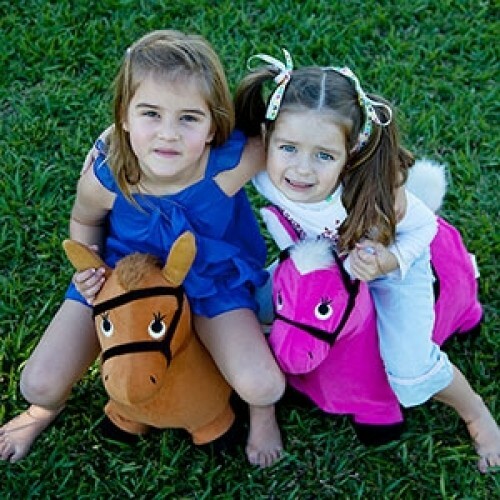 Ruby the Pony horse toy is built to last all the show jumping, riding and racing games your toddler can imagine. She's safe from toddlerhood and can carry up to a 60kg pre-school jockey! Like all ride on, inflatable and bouncy toys, she should only be used under adult supervision. Look into those pretty toy horse eyes, and fall in love with Ruby the Pony today.